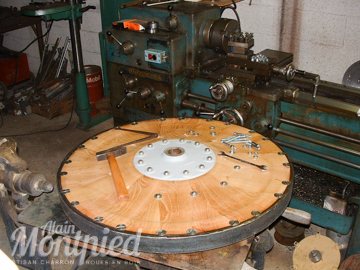 Alain is now a member of the Repar'Acteurs and association created by the departmental Chambre de metiers to prote businesses that restore things. 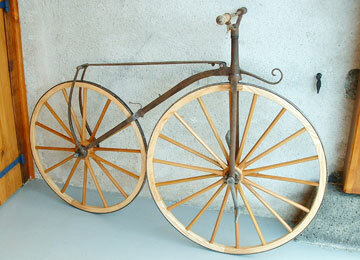 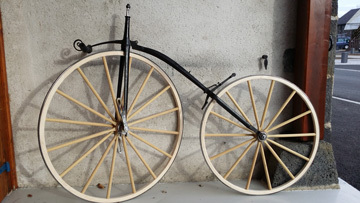 Here is a manufacturing project of missing parts allowing the reuse of this XIXth century vélocypède, (an early form of bicycle propelled by working pedals on cranks fitted to the front axle). 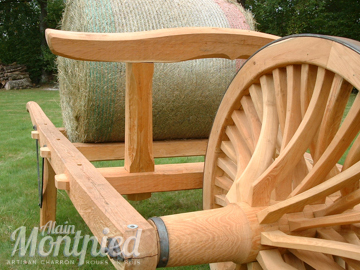 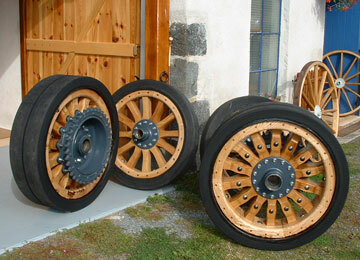 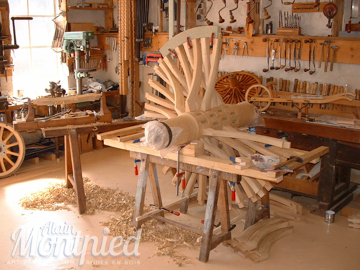 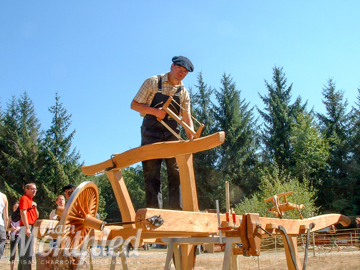 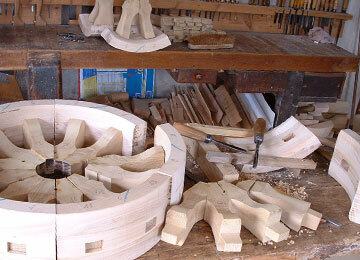 Artisan Wheelwright Alain Montpied makes all types of wooden wheels. 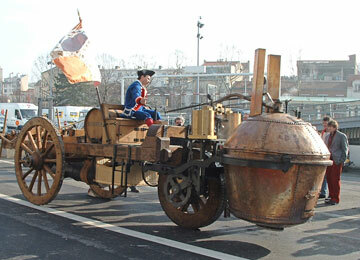 "I made, for the Tampa Bay automobile museum in Florida, an exact copy of the fardier of Cugnot, the first self propelled mechanical vehicle with a steam engine. 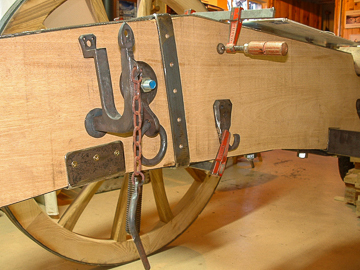 This accomplishment was one the 2011 nominees for the car of the year of the International Historic Motoring awards"
I went and took measurements and photographs of the original vehicule at the Museum of Arts and Crafts in Paris so that my copy is as faithful as possible, both for the measurements and for the appearance. 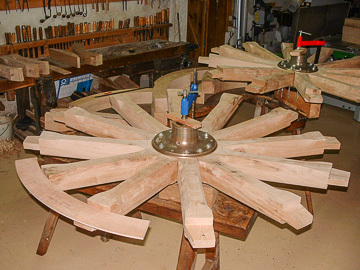 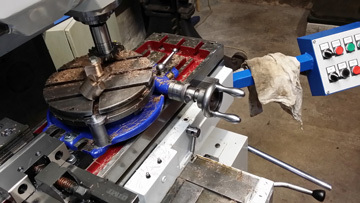 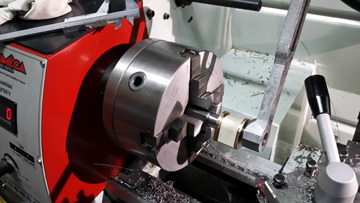 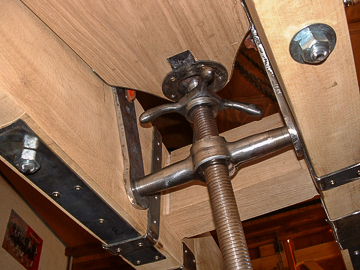 I then fitted a wood lathe to turn the hubs and I forged the nails and other hardware . 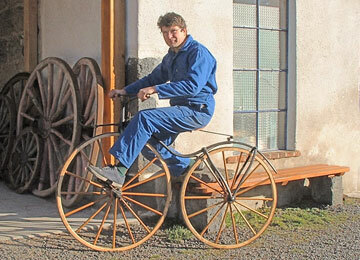 I carry out historical research in my personal documentation or in museums. 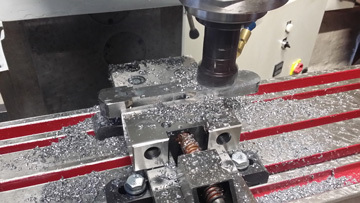 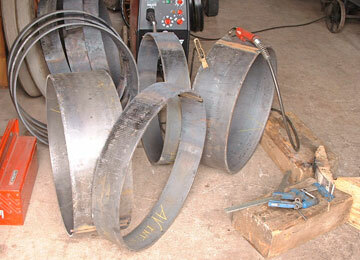 I draw blueprints and manufacture special tools according to the type of structure to be built. 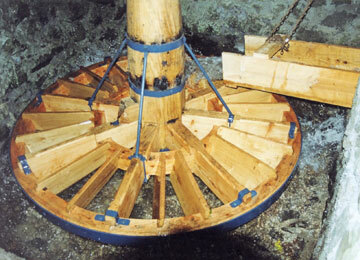 Construction of a horizontal water mill "Le Roudet" the ancestor of the turbine. 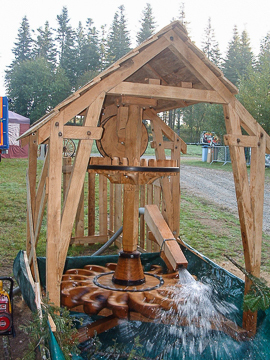 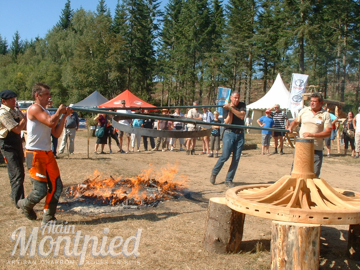 It appears as a demonstration item at wood festivals. 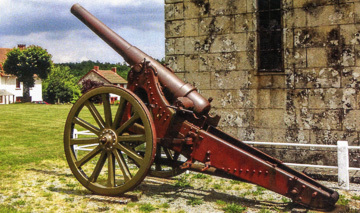 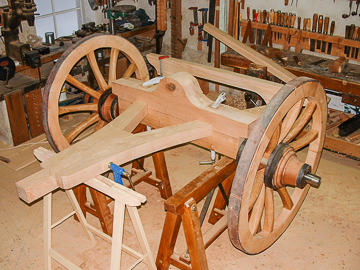 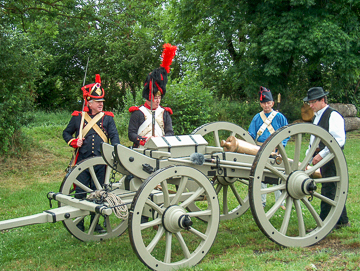 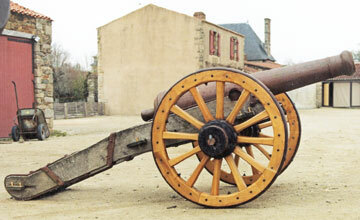 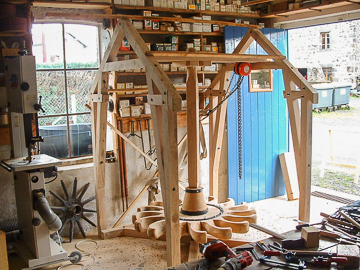 Canon in the village of Banize en Creuse - Wheels made by master craftsman wheelwright Alain Montpied. 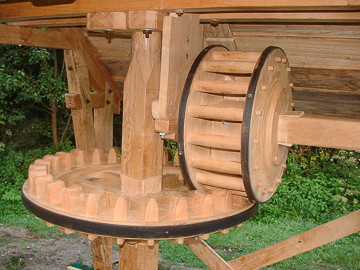 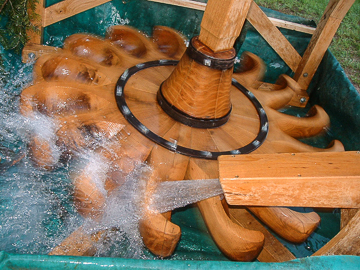 A mill wheel that I made. 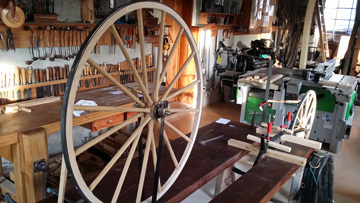 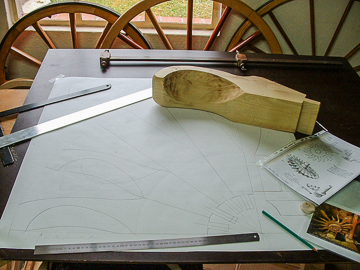 Creation of the wheel carried out in public during the 'Journée des Métiers d'Art'. 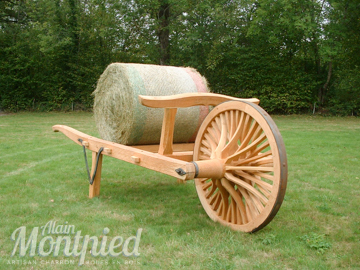 The Giant Wheelbarrow in use. 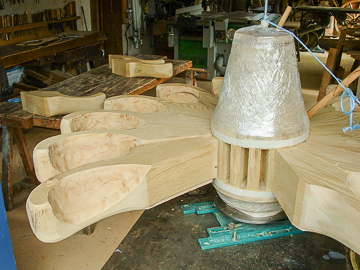 The finishing of the tank wheels. 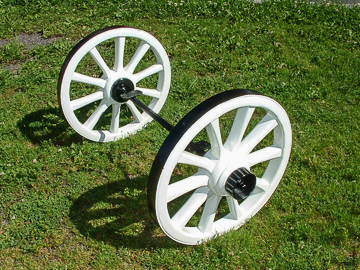 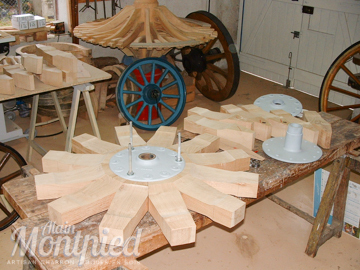 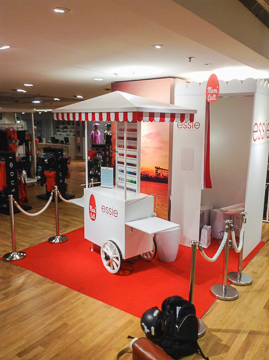 Wheels created for use on a carriage to present luxury products at exhibitions. 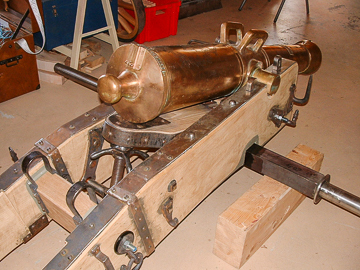 Assembly of the chassis during a public demonstration. 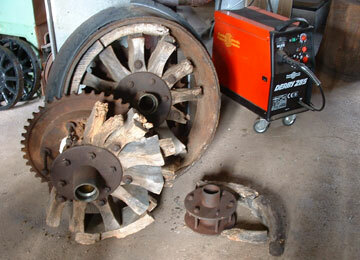 Adding the heated metal rings to the wheels. 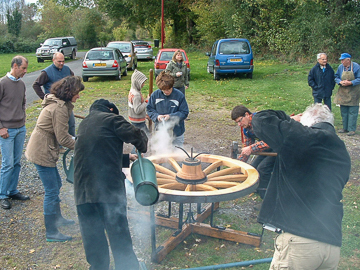 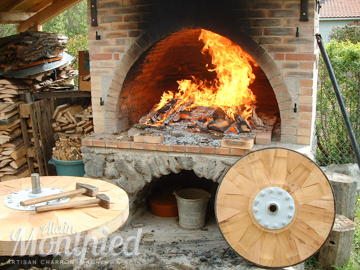 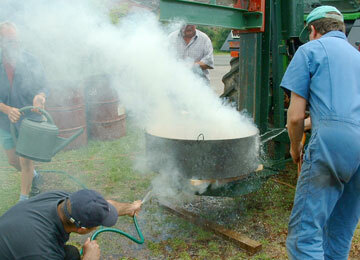 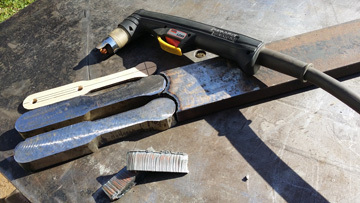 Heating of the metal rims before putting them around the wooden wheels. 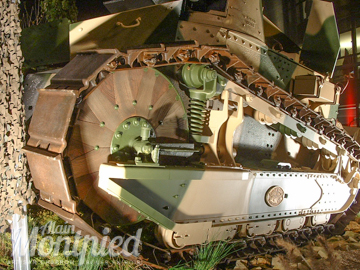 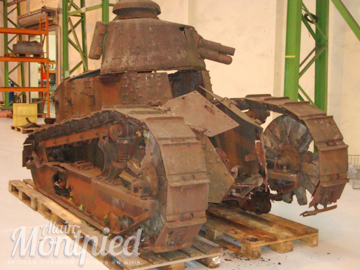 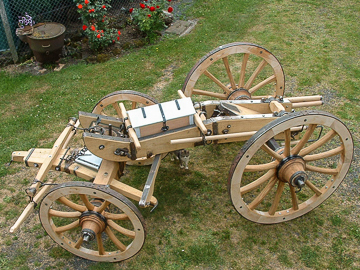 Inaurguration of the FT17 Assault Tank with replacement wooden Wheels by Alain Montpied. 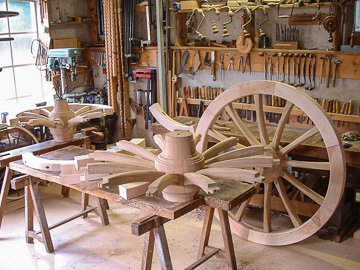 Home | Our Services | Cartwheels | Wooden Car Wheels| Steam Bent Wood| Special creations| Links | Where are we ?